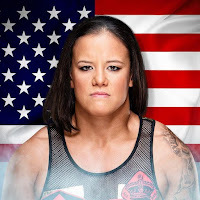 After coming up short in the finals of the Mae Young Classic against Kairi Sane, Shayna Baszler has earned herself a contract with the WWE. Baszler, who is the current AIW Women’s Champion has signed with WWE, as confirmed by fellow MMA Four Horsewoman Member, Jessamyn Duke on her twitch video gaming channel. The 37-year-old from Sioux Falls, South Dakota made the transition from MMA to professional wrestling back in 2015 when she made her in-ring debut against Cheerleader Melissa. On September 9th, she defeated Heidi Lovelace (NXT’s Ruby Riot) to become the AIW Women’s Champion. Baszler entered WWE’s Mae Young Classic, defeating Zeda in the first round. Baszler then defeated Mia Yim in the second round, then Candice LeRae in the quarterfinals, and finally Mercedes Martinez in the semifinals to advance to the finals of the tournament. She was backstage at the most recent NXT tapings earlier this month.